DAVID LE/Staff Photo. 2/13/15. 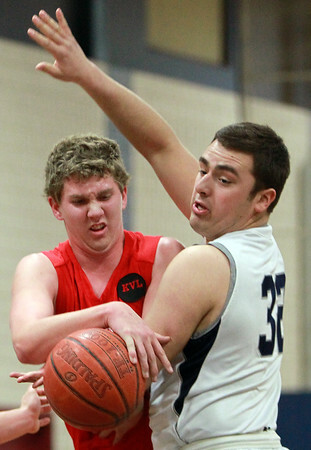 Masco junior forward Alex Spaulding, left, battles for a rebound with Hamilton-Wenham senior Nolan Wilson (32), during the first half of play.